London is old. If you mark Londinium as the official beginning of the city, it’s nearly 2000 years old. Take into account the Mesolithic and Bronze Age structures near Vauxhall Bridge, and it’s thousands of years older than that. With so much history, you’re thinking there’s no way you can see it all. 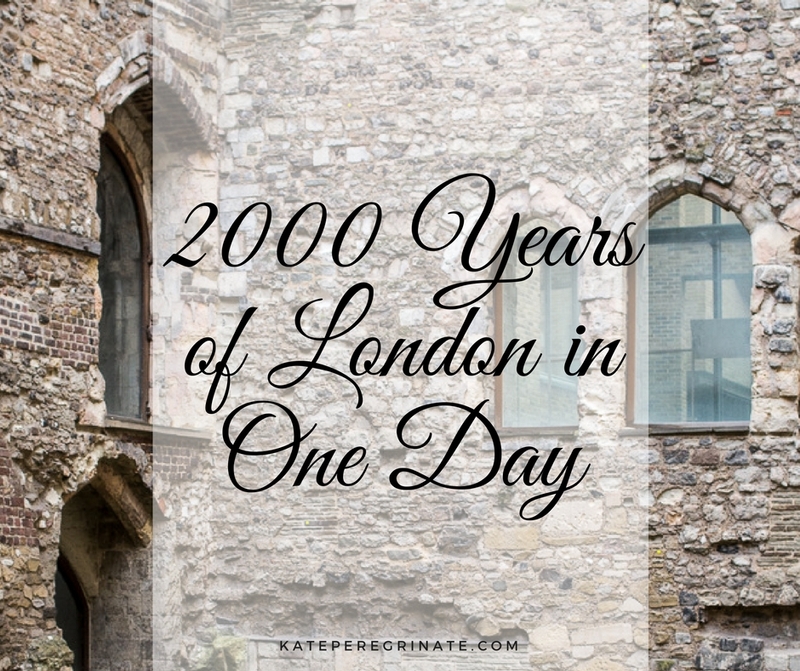 But I have an itinerary that will let you pack in over 2000 years of history in just one day! Here are nine places that show how London became the city it is today. London has been rebuilt multiple times, perhaps most famously after the Great Fire in 1666. Over the centuries, roads have been built over roads, buildings on top of buildings. Luckily, you won’t have to dig around to find evidence of pre-historic settlements. The Museum of London‘s London Before London gallery has an extensive collection of artifacts from the last Ice Age hunters to the Iron Age tool makers. Today is about the history of London, so walk through the chronological galleries to brush up on your history and put our next stops into perspective. You might even spot some ancient artifacts from your own childhood! London is where it is today because the Romans put Londinium on the map around 43 CE. 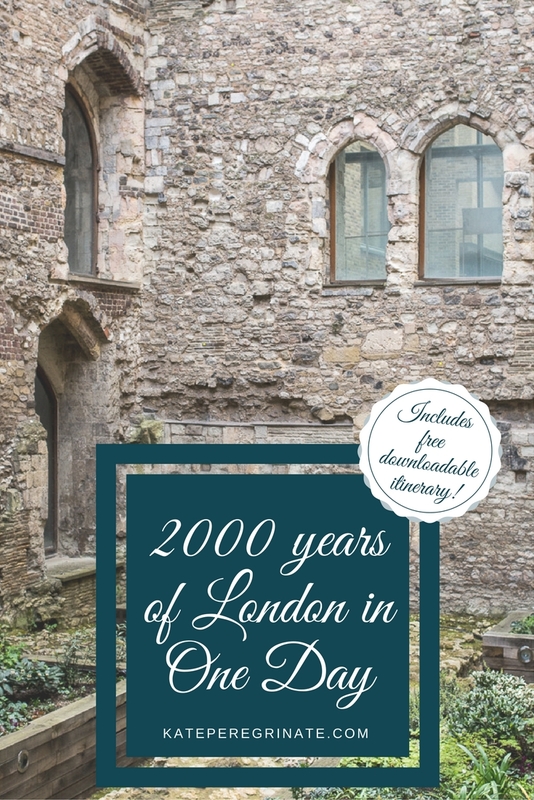 Most of their buildings have since been destroyed or buried under centuries of new construction, but you can still visit about a dozen fragments of the original Roman Wall around the City of London. A large section of the wall, which has been modified over the centuries, is located just outside the Museum of London. In the 1200s, a tower was added to the structure to give more defense for the city. As more people moved to London, the city began to expand outside the Roman Wall. By the 17th century, other buildings were on either side of the tower wall, obstructing it from view until those structures were destroyed during The Blitz during World War II. Many people associate London with kings and queens, but the city has long been a hub for business and commerce. In the Middle Ages, guilds helped merchants and craftsmen protect their common business interests from outsiders and competitors. You can think of them as Medieval trade unions. Over time, the guilds’ power grew, both politically and financially. In fact, the Lord Mayors of London have likely had more influence over the financial success of London than the monarchs. Built in the 1400s, Guildhall is the oldest non-ecclesiastical stone building in the City of London. Amazingly, it survived both the Great Fire of London and The Blitz, although not without damage. The building isn’t open to the public (except for special events), but you can visit Guildhall Art Gallery, housed in a modern semi-gothic building connected to Guildhall. And remember when I mentioned Roman London being buried under other buildings? Guildhall has a secret underneath — London’s Roman Amphitheater! Many people come to London for theatre and culture. Surprisingly, this is nothing new! Elizabethan Londoners had front row seats to some of the greatest plays ever written. Little did they know how lucky they were! 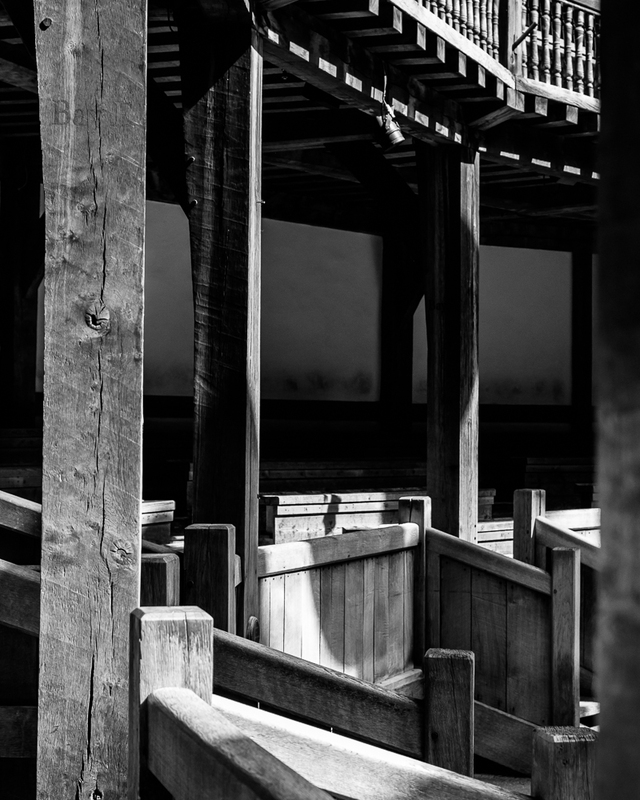 The two most famous playhouses, The Rose and The Globe, are long gone, but thanks to the dream of Sam Wanamaker, you can visit a replica of Shakespeare’s Globe Theatre. Don’t just admire The Globe from the outside. Check out the exhibits on the life of William Shakespeare and take a tour of the theatre. During my tour, we spent time in the Yard as well as different sections of the Lower and Upper Galleries. If you’re planning on seeing a production at The Globe (you definitely should! ), this will give you an opportunity to scope out the best seats. London Bridge has been a popular crossing point on the Thames for centuries. Today’s bridge opened just over 40 years ago, but there has been a bridge on that site since Roman times. For people traveling to London (or stopping during their pilgrimage to Canterbury), coaching inns provided the necessary place to sleep, eat and drink. Galleried inns also provided theatrical entertainment and influenced the layout of our modern theatre. 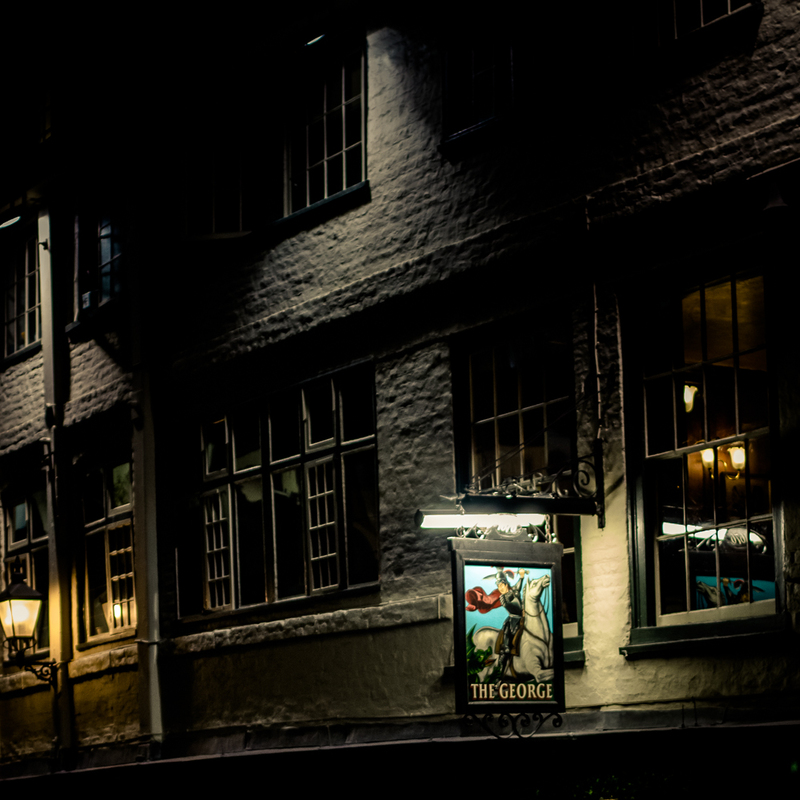 We’re about halfway through our day, so take a break at The George Inn, London’s only surviving galleried coaching inn. Although there’s been an inn on this site since the 1300s, the current building dates back to 1677. Neither Chaucer nor Shakespeare had a drink here (at least not in its current form), but you certainly can. Have some nibbles and grab a pint while you contemplate how tourism still has a huge impact on London. Spanning a couple of decades in the early 1800s, the Regency era marked an increased appreciation of elegance and classicism. The upper class greatly valued art and architecture, and steam printing increased the popularity of fashionable novels. Eccentric is the only word to describe Sir John Soane’s Museum. The famed Regency architect collected art works and architectural artifacts, including Hogarth’s A Rake’s Progress and Seti I’s sarcophagus, and constructed his Lincoln Inn’s Field home to display the items. Soane bequeathed the house to the nation (through an Act of Parliament), and it opened as a museum shortly after his death. London wouldn’t be London without the Tube. Without this glorious Victorian invention, I’m sure London traffic would be worse than it already is. You can easily walk the 1/2 mile from Sir John Soane’s Museum to the London Transport Museum, but I suggest taking the Piccadilly line from Holborn to Covent Garden to truly appreciate the ease of transport in London. Once at the museum, climb aboard the vintage buses and underground carriages to transport yourself back in time! Modern London was greatly defined by 20th century wars. Many families lost their young sons in the trenches of World War I. Post-war economic depression and increased xenophobia challenged the working and middle classes. World War II saw the physical destruction of war come across the English Channel for the first time in centuries. The Churchill War Rooms, a branch of the Imperial War Museums, lets you experience what it would have been like to be part of Winston Churchill’s government during World War II. To stay safe during the Blitzkrieg, the Prime Minister headed underground to lead Britain. As soon as the war was over, the rooms were sealed up and untouched until the museum opened to the public in the 1980s. The skyline of London is quickly changing. The destruction of buildings during the Blitzkrieg created the opportunity to build modern structures in their place. Over the past two decades, new skyscrapers have popped up all over London. Few are beloved, many are hated, and nearly all are given catchy nicknames. End your day with a cocktail at the Sky Garden at 20 Fenchurch Street (aka Walkie-Talkie, Walkie-Scorchie and Fryscraper). Unlike observation decks at the taller Shard, the Sky Garden is completely free (but you must book tickets a couple of weeks in advance). There you have it! You just traveled 2000 years in one day! How do you make history part of your travels? What historical sites in London do you recommend?